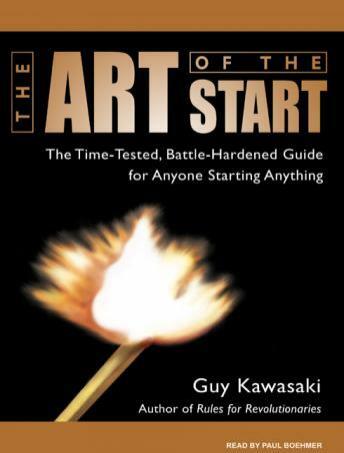 The Art of the Start will give you the essential steps to launch great products, services, and companies-whether you are dreaming of starting the next Microsoft or a not-for-profit that's going to change the world. It also shows managers how to unleash entrepreneurial thinking at established companies, helping them foster the pluck and creativity that their businesses need to stay ahead of the pack. Kawasaki provides readers with GIST-Great Ideas for Starting Things-including his field-tested insider's techniques for bootstrapping, branding, networking, recruiting, pitching, rainmaking, and, most important in this fickle consumer climate, building buzz.